The World Is Mine, digital painting, 2015. Click to enlarge. Do you remember that glorious feeling of pure bubbling happiness that’s so familiar to every child? When you own the world and you know it? When I was doing this digital painting, that’s exactly the feeling I wanted to project. 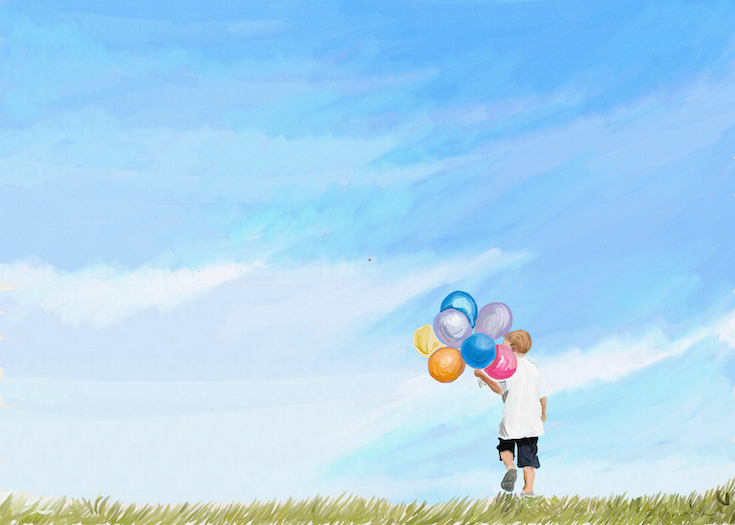 Blue summer sky, green grass and a boy with balloons – what more could you want to make you feel happy? Just imagine that you are the child in the painting and the whole world is yours for as long as you want it. I painted this painting using ArtRage software on a Wacom tablet, so it’s a high-quality, high-resolution image. Ideal for printing it out and hanging on a wall in a child’s room or any other room in your house.